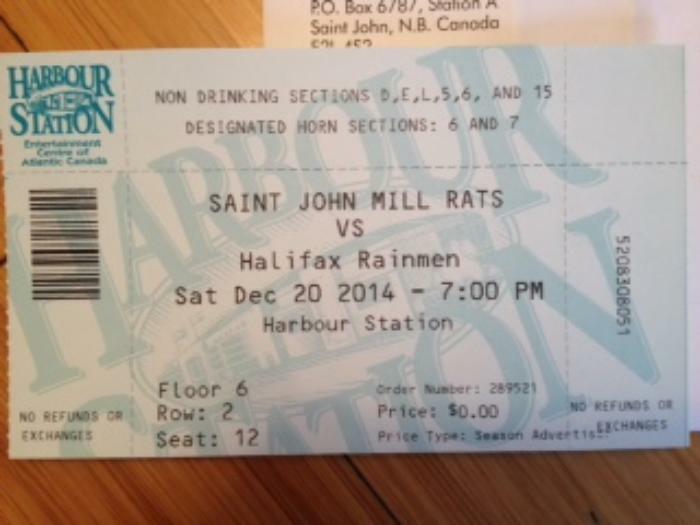 Mill Rats VS Halifax Rainmen. Saturday December 20 at 7:00pm. Never been to a National Basketball League game? Well this is the way to go! 6 ticketson the floor! Take the entire family or a night out with a few friends.